The Peruvian government is, finally, taking a strong stance to protect its marine ecosystems, as it contemplates the implementation of a ban on shark fishing. Ideally, this ban will not only protect sharks that inhabit Peruvian waters but will do the same for dolphins, as these animals are killed both for human consumption and to serve as bait for sharks. Dolphin fishing is illegal in Peru, but recent revelations by two conservation NGOs have brought to light this ongoing brutal practice, which is contributing to the devastation of not just one, but two marine species that are vital for maintaining the balance of a marine ecosystem, not just in Peruvian waters but in the South Pacific as a whole. The relationship between dolphin and shark fishing has been brought to light due to the recent investigations by Mundo Azul, a Peruvian NGO founded in 1999 which focuses on conservation efforts, particularly marine and coastal protection. Mundo Azul carried out its investigations as part of a joint project with Blue Voice, an ocean conservation organization based in St. Augustine, Florida. 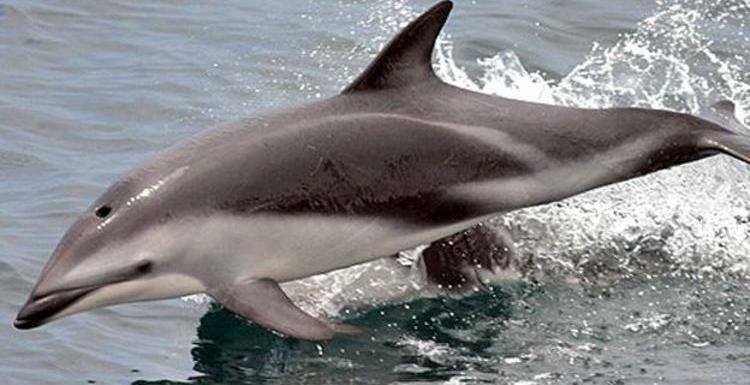 The two NGOs have declared that a plethora of small fishing vessels along the Peruvian coast (known in Peru as barcos artesanales) regularly pursue dolphins. Human consumption is not the only motive for killing dolphins, though this occurs as well, but rather the animals are killed (sometimes they are harpooned) and put out to float on the water so that their blood will attract sharks. The modus operandi for captured dolphins is called long-line fishing: the fishermen operate in small wooden craft from which they lay down a rope that can be over 22km long across the open waters. Every 100 meters, an additional rope is tied to the main rope, which has a hook with bait at the end. It is estimated that a fishing boat can kill between two and six dolphins on each trip, which can amount to as many as 15 thousand dolphins killed every year. The two aforementioned NGOs estimate that as many as 545 small ocean vessels hunt dolphins in Peruvian waters. According to Mundo Azul, the major Peruvian ports out of which these fishing boats operate are Paita, Pucusana, Ilo, and Mollendo, among several others along the vast Peruvian coast. The revelations were released to the Peruvian public as well as the national media with little surprise. 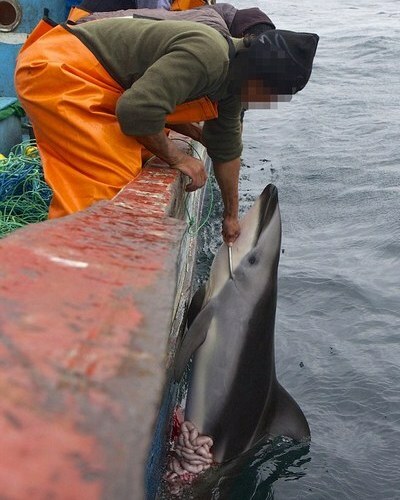 For example, the Peruvian TV news show Cuarto Poder summarized the situation by saying, “in only two months, [Mundo Azul’s investigation] has shown that the Peruvian law that prohibits the hunting, commercialization and killing of dolphins is as dead as every killed dolphin […]” For their part, Peruvian fishermen deny the accusations that they are responsible for killing dolphins to hunt sharks, but rather that they use anchovies. The shortfin Mako sharks are extremely active, epipelagic (open water) fish which are found from Oregon to southern Chile. The species is found circumglobally. Likewise, the blue sharks also are a highly migratory, pelagic, oceanic species. In other words, hunting dolphins in Peru is illegal, but shark fishing is legal. Shark meat is a highly expensive delicacy in Asia, giving Peruvian fishermen a strong financial incentive to carry out different tactics to produce it, even if it means illegally killing dolphins. Small scale fisheries are important for Peru’s fishing industry and are the backbone for thousands of family livelihoods in the area, including those of fishermen and merchants. But these small-scale fishing operations – also called artisanal fishing – are also damaging ecosystems since, in spite of some laws, it remains largely unregulated and repeatedly subject to overexploitation. Shark meat is legal in many countries, and is sold on the Peruvian domestic market as well as internationally, though its legality does not make the killing of sharks for their fins any less barbaric. The fins are separated in port by an intermediate fish dealer for export. But more often than not, fins are also illegally taken at sea. The value of the fins is often times found to be far greater than the value of the meat, hence fishermen will seek after sharks, remove their fins, and throw the sharks back into the water. Most sharks breathe by a process called ram ventilation- that is, they must keep swimming forward with the mouths partially open to force water over their gills. Without fins, these sharks inevitably will die from drowning. To be fair, it is not just Peru that is hunting sharks, for either domestic consumption or export. Due to the high demand in Asia (particularly in China) for shark fins as an essential ingredient to prepare the famous shark fin soup, several other Latin American countries are also involved in the shark trade, and they will go to great lengths to protect this important source of income. Most notably, in 2010, British celebrity chef Gordon Ramsay was in Costa Rica to film a TV documentary called Gordon’s Shark Bait for the British Channel 4. Not surprisingly, the chef and his camera crew were not welcomed by Costa Rican fishermen, and at one point the British chef was held at gunpoint and petrol was poured on him by individuals who did not want to show to the world the volume of shark fins that are caught or the gruesome processes that are customarily used by Costa Rican fishermen to catch them. Nevertheless, there is some reason to be cautiously optimistic as the consumption of shark fins may be decreasing in Asia, particularly in China. To use economic language, by decreasing the demand for this commodity, the production of the supply (in this case, killing dolphins to hunt sharks) could significantly decrease in Peru. In fact, an October 21 article by Simon Denyer in the British daily The Independent reports that there has been a success in raising awareness among the Chinese population about the implications of consuming shark fin soup on the global marine environment. The author explains, “Just a few years ago, most Chinese people were oblivious to what was happening […] But in 2006, WildAid enlisted Chinese professional basketball player Yao Ming, who played for the [NBA team] Houston Rockets, to front a public awareness campaign.” This initiative managed to gain support in the Chinese business community and even the Chinese parliament, the National People’s Congress. Today consumption in the nation is recorded to be down, but not completely eradicated. “In high-end seafood restaurants in Beijing, shark fin soup is still on the menu — for between $60 and $325 a bowl — but some hotels and restaurants no longer offer it,” Denyer explains. In other words, legislation to ban shark fishing may just push fishermen in Peru and other countries to become more covert when hunting sharks and selling their fins, but a decrease in consumer demand would ideally have even more positive effects. In declarations to the Peruvian daily La Republica, Stefan Austermuhle, the director of Mundo Azul, stresses that while shark fishing is legal in Peru, there are considerations and limits to the type of shark that can be fished which are not being respected. These include captured sharks which have to be over 1.60 meters in length, and if they are less, they cannot amount to more than 10 percent of the total of all sharks that were captured. Austermuhle explained that sharks shorter than 1.60 meters are considered juveniles, so they should not be captured, in order to preserve the species. Hence, fishermen should only capture adults who are sexually mature so they would, hopefully, already have had the opportunity to contribute to the existing population. If too many adults and juveniles are caught, there is not enough time to replace them with younger generations, which potentially would lead to the extinction of the population. 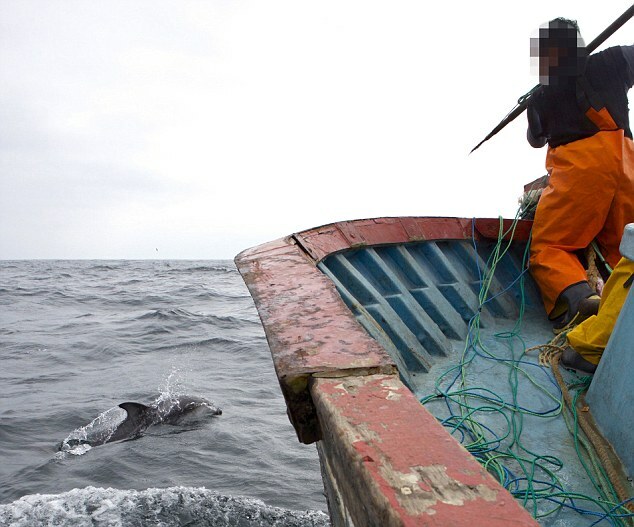 Dolphin fishing has been illegal in Peru since 1996, when the legislature passed Law No. 26585. This law prohibits the hunting of certain breeds of dolphins, such as the dark dolphin, bottlenose dolphin, and the tucuxi, a type of dolphin that inhabits the rivers of the Amazon Basin. If properly applied, the penalties for the killing of dolphins are somewhat severe, ranging from the suspension of fishing permits as well as three to five years in jail. Another Peruvian law that protects dolphins is the Decreto Supremo No. 002-96-PE, which was signed on July 14, 1996. Article 3 of the law declares that it is illegal to consume dolphins. Meanwhile, Article 4 states that any dolphin that is still alive and is captured in artisanal or industrial fishing vessels must be freed. While these laws have been around for almost two decades, their pathetically low success rate of preventing dolphin hunting is a major source of embarrassment. The fact that this illegal activity continues demonstrates that the existing laws in Peru to protect dolphins are inefficient. 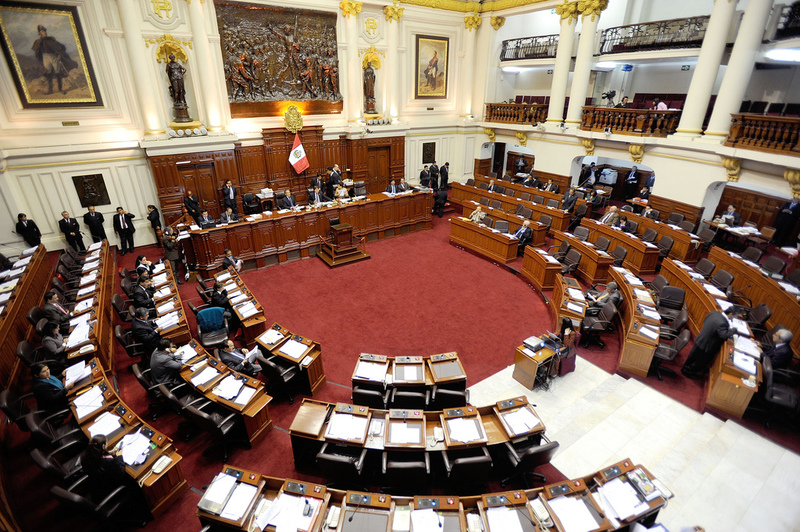 The Peruvian government has not denied the claims made by the Mundo Azul and Blue Voice investigations, but has tried to portray a willingness on its part to take decisive action. For example, on October 24 the Peruvian media reported that inspectors from the Ministry of Production seized 1.5 kilos of illegal dolphin meat in a restaurant in the province of Callao, where Peru’s major port is located. Moreover, after Mundo Azul made its research findings known, the Peruvian Ministry of Production (which oversees the Vice Ministry of Fishing) commissioned the Instituto del Mar del Peru (Institute of the Peruvian Sea), to draft a study to find the exact locations where these fishermen are carrying out their illegal activities. It is oftentimes more effective to work collaboratively with local fishermen to establish small protected areas, which are collectively and effectively managed, in order to help the species have an area where they can repopulate. Nevertheless, such a measure could only be effective if it is in an area where sharks and/or dolphins can be found. Funds and additional studies are required to find the appropriate maritime areas as it is unproductive to carve out a random no-fishing zone and simply hope for the best. There is some reason to hope that the Mundo Azul revelations will encourage the Peruvian government to take bolder steps in protecting its marine ecosystem; namely, Deputy Minister Phumpiu explained that the government is evaluating the institution of a prohibition on shark fishing. By making shark fishing illegal, the ideas is that Peruvian fishermen would be discouraged from hunting dolphins as well. Coastal security agencies and marine conservation organizations must work in collaboration with local fishing communities to see that such prohibitions are properly enforced. As for the amount of personnel and technology available for Peruvian authorities to patrol its ports and wide coast to make sure that bans are properly implemented, Deputy Minister Phumpiu has declared that there are today more than 250 qualified inspectors to enforce the 1996 ban on killing dolphins. Nevertheless, this figure does not appear to be sufficient to properly monitor Peru’s numerous ports (which is why coalitions with local communities are so important in the enforcement of conservation laws). Meanwhile Rear Admiral Edmundo Deville, director general of Peru’s Coast Guard, explained that his agency has six patrol boats for maritime surveillance to combat illicit activities, while another 24 vessels can patrol the coast and go as far as 50 miles into the open sea. He explained that there are plans for Peru’s fleet of patrol boats to expand to 44 in number by 2016. It seems that combating the illegal fishing of dolphins and sharks is gaining momentum in Peru. Besides the Peruvian government and the proposed IMARPE study, the respected Peruvian daily El Comercio published on October 19 a set of five suggestions to help combat this tragic development. These recommendations included improving the monitoring and tracking of artisanal vessels (many of them do not have the proper fishing licenses), ensuring that harpoons are not on board of artisanal vessels before they leave port, and more effective police operations to crack down on markets that sell dolphin meat, so that it can be seized and the merchants can be prosecuted. Their long-lived, low fecundity, and late age of maturity. Unlike many other species of bony fish that produce thousands of eggs at a time once (or more than once) a year from a relatively early age of maturity, sharks do not start reproducing until they are much older than some other fish. Once they start reproducing, many of these species birth just one offspring every two years. They also can live much longer than many fish species – in some instances surviving for over seventy years. Their low fertility makes it very hard for such stock to survive amidst increasing fishing pressures. In other words, sharks are being fished faster than they can reproduce and are at risk of being driven into extinction. The presence of apex predators, like sharks and dolphins, are often thought to be an indication of the health of an ecosystem. It is theorized that healthy numbers of these predators means that an ecosystem is functioning properly. By eliminating these species in alarmingly high numbers, it can have a massive impact on the rest of the environment. One can only hope that the recent bloody revelations brought to light by the laudable work of Mundo Azul and Blue Voice will help to raise awareness of the perilous plight of dolphins and sharks in Peru. So far, Peruvian government officials have attempted to portray a proactive stance on the dolphin question in order to slow illegal hunting practices. Placing a ban on shark fishing would be a venturesome idea, and hopefully it will not take years to have it implemented. It is doubtful that the sharks and dolphins that currently swim in the Peruvian sea (and elsewhere) can wait much longer. Credit: This author would like to thank the marine biologist interviewed for this analysis, as well as Sierra Ramirez, former Research Associate at the Council on Hemispheric Affairs and current M.A. candidate at American University, for their constructive feedback on earlier versions of this report. “Peru: 15 mil delfines mueren al ano en manos de pescadores artesanales.” La Republica. Sociedad. October 17, 2013. “Crimen en el mar: matanza impune de delfines en el Peru.” America TV. Cuarto Poder. October 20, 2013. “La fiscalia de Ilo investiga la matanza de delfines.” ElComercio.com.pe. October 24, 2013. “Holocaust for Dolphins and Sharks in Peru.” Bluevoice.org. Press Release. Mackenzie Wilson. “Gordon Ramsay ‘Held at Gunpoint’ in Costa Rica.” BBCAmerica.com. January 3, 2011. Steven Winford. “Gordon Ramsay threatened at gunpoint during illegal fishing investigation.” The Telegraph (UK). January 3, 2011. Simon Denyer. “In China Shark Fin Soup is Losing its Fashion.” The Independent (UK). October 21, 2013. [2] “Proteccion Legal de Delfines en el Peru.” Mundo Azul. [3] “Proteccion Legal de Delfines en el Peru.” Mundo Azul. “Carne de delfin fue decomisada en restaurante del Callao.” ElComercio.com.pe. October 24, 2013. “Gobierno condena la caza o captura de delfines” Peru21. Actualidad. October 18, 2013. “Produce: Peru condena la caza illegal de delfines y tiburones.” Rpp.com.pe. Economia. October 18, 2013. “Piden a Fiscalias Investigar caza de Delfines y Tiburones.” Rpp.com.pe. Politica. October 23, 2013. J.A. Estes, M.T. Tinker, T. M. Williams and D.F. Doak. “Killer Whale Predation on Sea Otters Linking Oceanic and Nearshore Ecoystems.” Science. Reports. Vol. 282, October 16. 1998.P. 473 -476. Ransom A. Myers, Julia K. Baum, Travis D. Sherp, Sean P. Powers, Charles H. Peterson. “Cascading Effects of the Loss of the Apex Predatory Sharks from a Coastal Ocean.” Science. Vol. 315. March 30. 2007. P. 1846 – 1850. J.D. Stevens, R. Bonfil, N.K.Dulvy, and P.A. Walker. “The Effects of Fishing on Sharks. Rays, and Chimaeras (Chondrichtyans), and the Implications for Marine Ecosystems.” Journal of Marine Science. 57. P. 476-494. J.D. Stevens, R. Bonfil, N.K.Dulvy, and P.A. Walker. “The Effects of Fishing on Sharks. Rays, and Chimaeras (Chondrichtyans), and the Implications for Marine Ecosystems.” Journal of Marine Science. 57. P. 490.